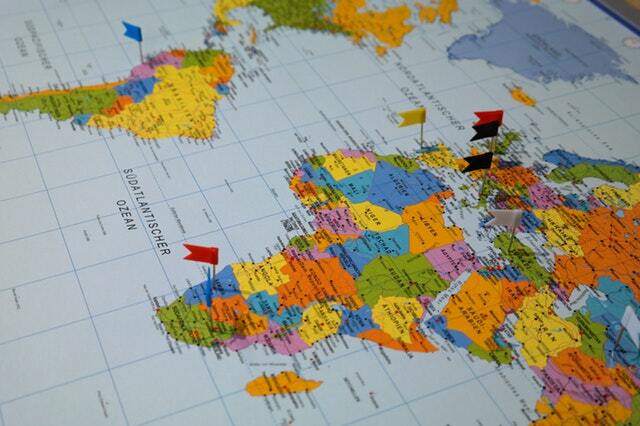 There are more than 6000 languages around the world. However, most people commonly master only two to three languages. If your company is committed in growing its wings, you should be taking steps to reach out to the global market by acknowledging yourself with language other than your local and universal language such as English. Even the founder of Microsoft, Bill Gates, said that he regretted to not mastering a second language. His confession in linguistics shortcomings expressed his desire to know French, Arabic, or Chinese. You might ask, why do people need to be a multilingual? According to Business, being a multilingual leader or entrepreneur can help you leverage better use of technology and build business relationships anywhere regardless of geographical borders. You can as well do the business matters effectively and efficiently as you do not need to hire an interpreter while holding a meeting with foreign clients. Additionally, a study found that learning languages can actually activate your brain cells. It can increase your cognitive abilities for problem solving, unlocking creative potential, as well as helping you to be more creative and tolerant. Meanwhile, Omniglot suggested that by having multilingual company, you can gain competitiveness in business market, attract more customers, expand sales, build more network, and sharpen your brand name. See also: Fight Work Obesity: Artificial Sweeteners or Alternative Sweeteners? Nonetheless, among those 6000 languages, which are the most useful in global market? Here are 8 other best languages besides English that will be useful for future business competitiveness as proposed by Digital Doughnut. With a momentous of 1 billion number speakers across the globe, Chinese accounts for 14.4 percent of the world’s population. Chinese economy is also seeing an astonishing growth in the last few decades that Bloomberg predicted it can overtake U.S. to become the world’s largest economy by 2026. Thus, it comes as no surprise that learning Chinese language has become a necessity nowadays. The dominance of world’s economy makes it noticeable that by being fluent in Chinese can give great source of business opportunity. French is not only the language of love, but also the language of business. Today, French remains popular language to learn, with 750 million people are estimated to use it as a second language by 2050. This language is also projected to take over English and Mandarin as the international language. It also has been officially used in worldwide organisations such as United Nations and World Trade Organization. Thus, investing your time in learning French is a good investment. Having more than 405 million native speakers, Spanish becomes one of the most commonly spoken language worldwide. Therefore, by making your web content available not only in English but Spanish, it can open door to more visitors and potential clients. Moreover, the U.S. has the world’s Hispanic population which is projected to double by 2050. No wonder, mastering Spanish is important. British Council also mentioned that Spanish will be useful for 34 percent of UK businesses. In short, to conduct a well business in US or anywhere in Western hemisphere, Spanish language will help a lot. British Council nominated Japan as a significant contributor to the U.K. prosperity both in export and major investor. Japan also provides a wealth of opportunities in terms of science and technology. Besides, the country plays an important role in high-level international forums and as a provider of development assistance. Foreign and Commonwealth Office legally considers Japan as an important partner in matters of climate policy, energy and resource security, the reform of financial institution, and others. Therefore, more and more executives are interested in learning Japanese. According to survey, German becomes the third most used language online. It might be small compared English or Russian, but you should not forget that German is also the language of the most economically-important countries in Europe such as Germany, Austria, Belgium, Switzerland, Luxembourg, and Lichtenstein. Research Trends showed that German is particularly important for scientific research and placing it in top most important scientific languages. It makes Germany the world’s third largest contributor to research and development. With its reputation of quality in craftsmanship and intelligence, if you want to contribute in their business, it will better to use their language. British Council ranks Arabic as the second more important language of future. It is because there are 6 Arabic speaking countries appear in the U.K.’s top 50 export market in goods which surpassed Spain, China, or Italy. It is also the official language of 28 different countries including Middle East and Africa. Russian is the eighth most common language in the world and the second most used in website content. The country, Russia, has also been identified as one among four major world powers that influences the growing economy. British Council noted that Russian is one of most important language for international relations, diplomacy, and trade. It has become official language of United Nations as well. Moreover, with its emerging economy and natural resources, Russia is so appealing for businesses. CSA Research showed that Portuguese blasted forward with 6.1 percent share growth after several years. For business, Brazil, which official language is Portuguese, is probably the main attraction why you should learn the language. Brazil has a deep recession and is still a big country with a big market. There are some indicators that business opportunities in this Latin America country will grow rapidly. UNESCO also stated that Portuguese is one of the fastest-growing European language after English which has the highest potential for growth as an international language. With all the reasons, it is an excellent chance to learn the language in order to unlock business potential.